Mike Mignola’s graphic novels come back to life with the latest chapter of the Hellboy mythos directed by the always reliable Neil Marshall (The Descent, Game of Thrones). Hellboy (David Harbour, best known for Stranger Things) is a heroic half-demon summoned to earth to work for the Bureau of Paranormal Research and Defence (The BPRD). When he is sent to England to battle three rampaging giants, he discovers an evil sorceress, Nimue (Mila Jovovich), who has a singular mission to avenge her past betrayal by punishing all human life on Earth. Now Hellboy - together with his adopted father (Ian McShane) and some of his closest allies - is caught in the middle of a clash between the natural and the supernatural as they try to stop Nimue before she destroys all mankind. 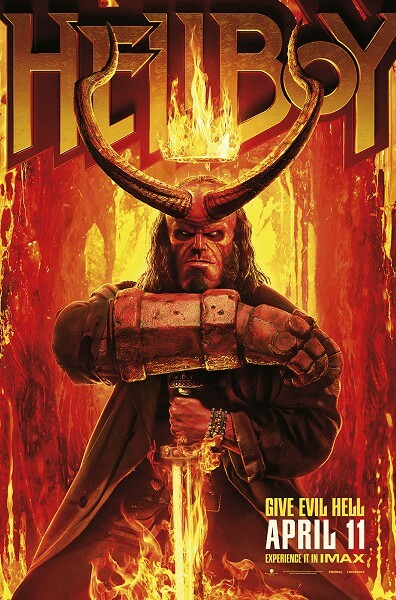 Originally planned as a sequel to Guillermo Del Toro’s earlier Hellboy series, the film took on a new life when Neil Marshall and David Harbour signed on to the production. Expect dazzling special effects, high-octane action and tongue-in-cheek humour in this new adaptation of a familiar and beloved anti-hero.